Recent large gators have been noted in the news recently but the largest one, so far, got huge on grain-fed Texas cattle. 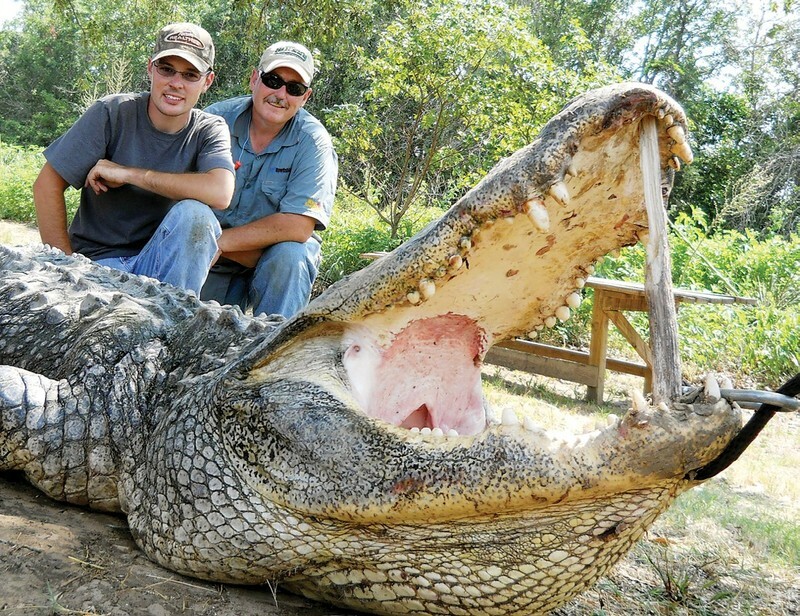 Finally a Texas lawyer, Levi McCathern, ended the gator’s reign of terror with a rifle shot in July of 2011. For this operation he said he was given permission to take out the terror of the Trinity River by a cattle rancher. For the record, this well-fed gator was 14 feet long and weighed 900 pounds. He said the gator would go on the wall in his office. Later, after an investigation, arrest warrants were filed for the Dallas attorney, the hunter who allegedly killed the gator, and the three guides. See the details.